Hey everybody. So we know it’s been a minute since we returned from our trip to Greece (33 days, but who’s counting)? Come on, if we’re talking views, Greece just isn’t playing fair. 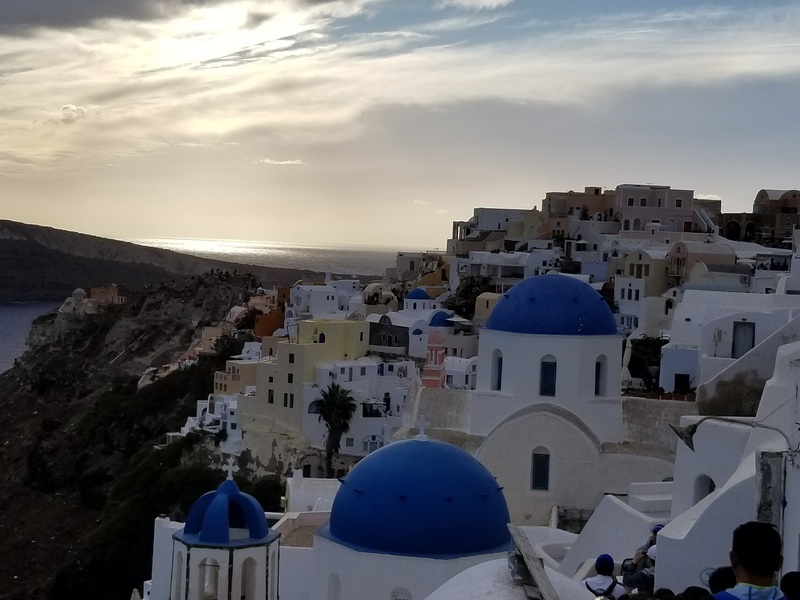 There’s a reason why tourists pile up every single day right before sunset to take a picture of the blue domes in Oia, Santorini. It’s literally the shot you see on every postcard, and we have to admit, it is as beautiful in person. Okay, while Val’s not a fan of cats, Kim adores them. And in Greece, people love their cats and the cats love the people. 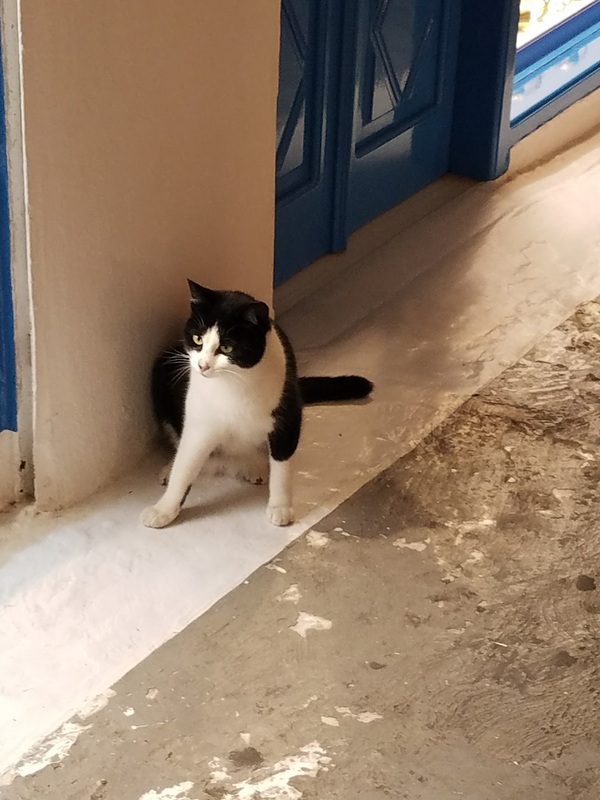 Walking in Mykonos, for example, you can expect to see cats everywhere – from the homes to restaurants to the airport. And people openly caress, hold and feed them. They’re like part of the fam! Yes, we know we devoted an entire blog post to our food in Greece. 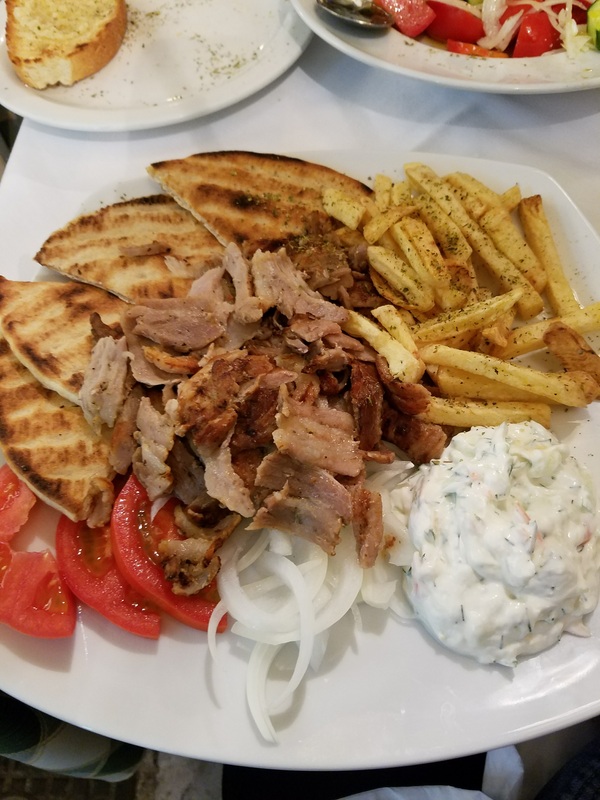 But we’d like to hone in on one of our favorite Greek foods – gyros!! They were so good and we had our fair share while in Greece. It’s an affordable casual entree you can find just about anywhere in the country, so it was a plus for us! 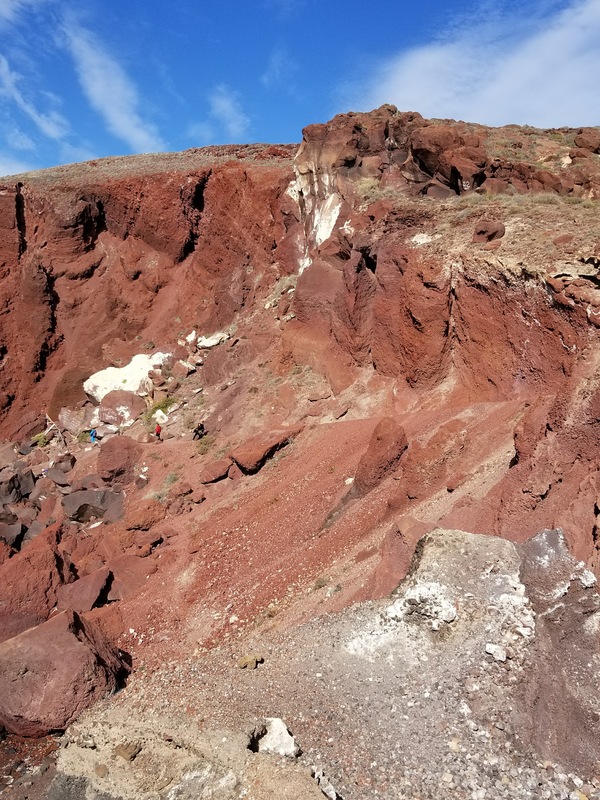 Greece has so many beautiful beaches – we’re talking black sand, white sand, red sand, etc. But much of the appeal for us was the crystal clear water. With Galveston being the closest body of water to us, it was so refreshing to splash around in water where you can see straight to the bottom. Okay, we really never encounter any real a-holes when we travel, but it’s always nice to acknowledge the friendly people we do come across. 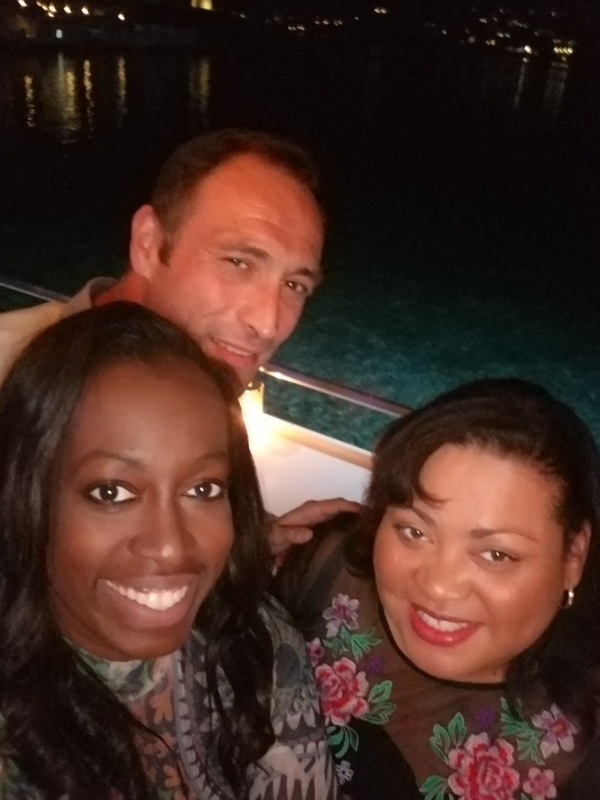 Literally every person we ran in to in Greece – from George at the t-shirt shop in Athens, to Eleni, our Airbnb hostess in Mykonos to Simon, our tour guide in Santorini – was genuinely nice. And whether it was offering tips on how to get the best shot or simply arranging a taxi for us, 2 Girls Who Travel are so thankful for the hospitality. We totally agree and can’t wait to get back!